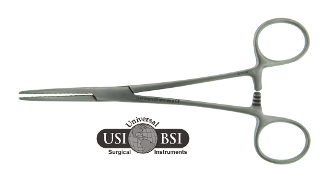 Our Crile Hemostat Forceps are most commonly used for clamping blood vessels or tissue before cauterization or ligation. Horizontal serrations the entire length of the jaw, and jaws half the length of the shank make this instrument unique. There is a ratchet locking mechanism for a tight, secure hold.